Here is my latest discovery. 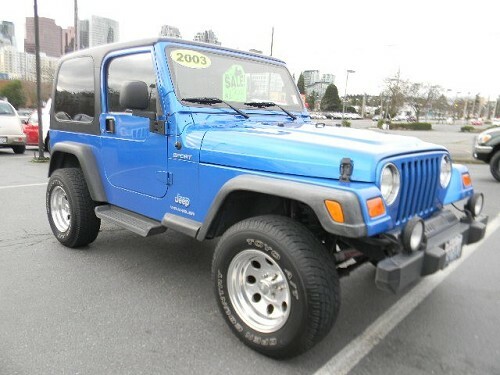 I bought this blue Jeep about a year ago, and at the time I got it, I figured I'd get an OBD-2 code reader. This is the device you attach to the car so you can tell what's wrong when the "Service Engine" light comes on. Well, they come from simple $20 devices that give you a number, and you have to open a book to look up the number. Then there are the top of the line models, running $300 - $500. 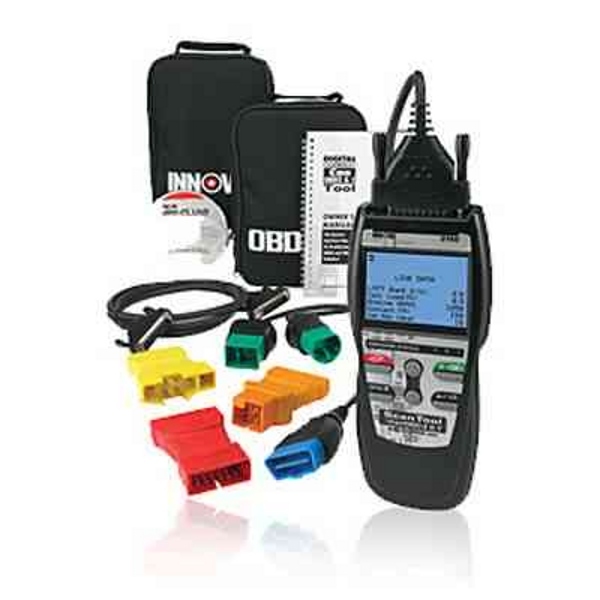 I decided on the expensive unit, and one that supposedly will do with the 1995 and older OBD-1 systems as well. So I got this nice box, containing this suitcase, and inside is this beautiful, gorgeous handheld unit with all sorts of cables. I took it to the Polar Cafe, opened it there on the table by the window, and looked for the manual. Oh yes. Manual. It is one inch thick, and comes with a CD to boot. I started on page one, and by the time I finished chapter 1 my eyes were glazed over. Glazed. It would take a computer and automotive genius mechanic to use this thing, so I sadly put it away and never looked at it for 6 months. So, along comes this fellow, Greg Dahl, who is a sub manager at AC Co., and puts out a Nome Announce that he needs an OBD-2 reader to read his Jeep. Aha! Here is a guy that might know something. If I loand him my tool, he can read the inch-thick book and then show me how to use this thing on my Jeep. Sure enough, we set up an appointment and he shows up at the Polar Cafe. I show him the unit and he says "I already read the codes on my Jeep and fixed the car. So I don't need this, but we can try it out." "But," said I, "you gotta read the book first." "Lets just try it, looks easy." "But you got to read the book," I cried. "Lets go out to your Jeep," said Greg. "My Jeep! My Jeep! Lets try it on YOUR Jeep first!" "Trust me," said Greg, "Lets go to your Jeep." "OK, in an hour or so? Where can I meet you?" "No, right now. Right there on the street." But, he would not be denied, so out we go to where my Jeep was parked in front of the Post Office. The OBD-2 plug is on a standared (mandated by law) place by the driver's left knee, and sure enough, I could see the plug there. So, he says, "turn the key on, but don't start the car." I did. Then he plugs this unit into the jack, turns it one and the thing lights up the screen and tells me its hooked up to a Jeep, model ... blah blah. No stored Codes. He says, "start the car now." I do so. "See," he points out, "this button here is for Live Data." and he pushes the button. Next thing I know, my computer screen has all sorts of info, temperature of the engine, the air, the rpm, the fuel flow, tells me car is stationary, so can't give me miles per gallon, tells me all the inputs from the various sensors. This is incredible. Even my dog quit barking and paid attention with that head cocked to the side look she gets when she is interested in what I am saying or what is going on. Damn. Even the frikking dog is learning to use this thing. So, Greg leaves me there at the side of the Jeep, holding this unit, car running, right in front of the Post Office. It tells me the engine is running, not moving. Wow. Great. I love it. "Greg! Greg! Wait, wait. How do you turn it off! ?? The thing! Not the Jeep!" Copyright © 2012 Ramon Gandia.